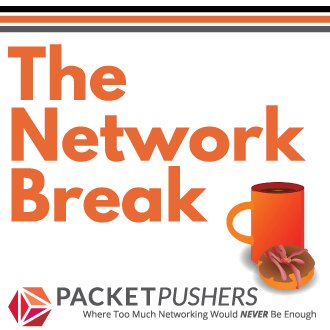 I talked about using low-cost networking for Data Centre networking in Cheap Network Equipment Makes a Better Data Centre – EtherealMind. Today, I want to look more closely at the cabling costs and consider the large variations in unit price for 40GbE SFP modules. The area that made a major impact on total solution cost was the price of cable assemblies offered by the vendors. Astute readers will know that vendors will only guarantee support when using authorised cables and therefore the purchase evaluation process required each vendor to offer cabling assemblies and to consider only supported products. There was a very substantial variation in cabling pricing between vendors and cabling is significant cost factor in the network design and purchase decision. Note: The following table is indicative only. It is not apples-to-apples comparison since the available pricing information was based the solution that vendors offered instead of me comparing the different prices. The purpose of the table in this report is to highlight the differences in cabling costs between vendors to demonstrate the hidden cost of SFP modules for 40GbE. Mid-Market- A only offered optical cables for the 40GbE solution so this cost is distorted and somewhat higher than copper cables. The tender process was clear that vendors must make their own decisions on what products to offer. I kind of wish they had submitted a different bid. . Leading Vendor cable is copper and only 10 metres. I judge that the 40 metre fibre optic would be several times the £850 cost by comparing the Dell/Cisco cables which are identical. 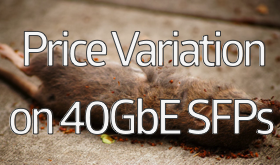 Given that Leading Vendor 10m Coax is 300% more than the equivalent Mid Market B cable therefore a Leading Vendor 40GbE could cost as much as £2400! or 1200% more than the Low Cost equivalent. Low Cost owns a division that manufactures its own cables. This might be a competitive advantage. Low Cost is offering 40GbE fibre cabling which we regarded as superior to copper / coax for reliability and durability reasons. I would highlight the fact that cabling assemblies costs from Mid-Market-B & Low Cost are significantly cheaper than Leading-Vendor or Mid-Market-A. The only explanation we came up with suggests a hidden pricing strategy in accessory sales where each port used attracts a hidden license fee built into the SFP price. In the final solution, cabling assemblies made up between 40 – 60% of the TOTAL offered solution price for each vendors solution. This was a new experience since cabling has always been a fraction of the cost of the network hardware in previous years. In this case, the network hardware was less than half of the total purchase price for all vendors. Because cables were so costly, a significant amount of project time was allocated to cable minimisation planning in the physical space instead of minimising hardware consumption. Lesson learned: when building 10GbE/40GbE networks, make sure you include cable costs in the total analysis. I’ll make the observation that the cost of 5 x 40GbE cable assemblies is the roughly cost of renting a high quality rack enclosure including PDU’s/environmentals and connecting it to the power at £4000 per annum. Purchasing 40 cable assemblies at £800 each ( i.e. £32000) is the cost of 3 provisioned racks in a mid-range colocation facility for two years. Therefore purchasing new racks or rack space is often cheaper than buying longer cables and should be considered when buying colocation space. I’m still trying to make sense of this pricing strategy from vendors and can only assume that there are enough customers who are not evaluating the full cost of cable assemblies in buying decisions. Customer who purchase a few ports at a time may never see the distortion in total purchase price. 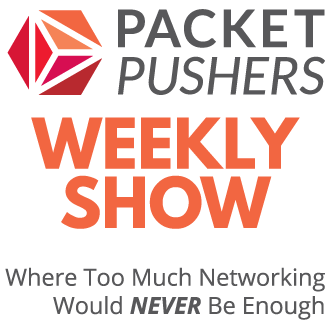 Welcome to “new networking”, it’s nuts whats happening in the pricing of cable assemblies. This is why we use 3rd party optics and cables because of the ridiculous markup from vendors. We don’t get vendor support, but with the money saved purchased our own testing tools (OTDRs, scopes, power meters, cleaners, etc..) Plus the 3rd party optics and cables are lifetime warranty with NBD replacement, and are priced so that you can stock ample spares.